Kenny Browne has signed up for the Blues for the 2019 League of Ireland campaign. Photo: Inpho. After captaining Waterford FC’s return to the SSE Airtricity Premier Division when landing the first division title in 2017, Kenny Browne has put pen to paper on a new deal with the club ahead of the start of the 2019 campaign. Browne, who joined the club from Cork City for a third stint at the club, made a total of 27 appearances for the Blues last season which saw the club secure a fourth placed finish and a place in the Europa League, which will see the Blues back in European football for the first time since 1986. The central defender has been a big player for the club in recent seasons and his addition to the squad for the upcoming season is a major boost for Waterford FC manager Alan Reynolds as he continues to finalise his squad ahead of the opening fixture against Shamrock Rovers. Speaking on his decision to sign back for the club, Kenny Browne said, “I’m really happy to sign back. Pre-season is all about fitness and getting ready for the season, it’s never easy, but that’s what I’m working on at the moment. Training has been good, there’s some really good, young, quick lads after joining the squad and they’re hungry to make a mark. “It’s a much-changed squad to last season so it’s tough to put a prediction on the season but we’re here to compete, definitely. Dundalk and a few others will be very strong but we’ll be looking to compete like we have done and build on the last few seasons. 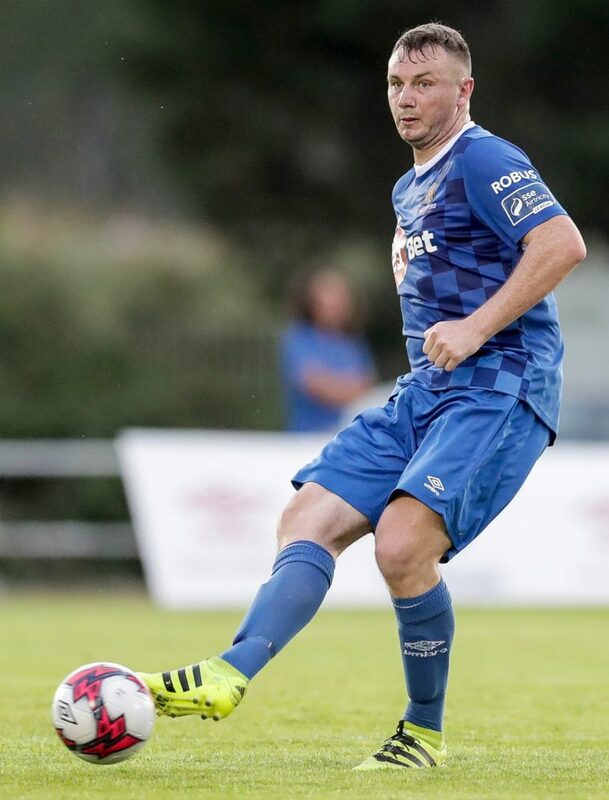 Also commenting on Kenny Browne signing for the club, Waterford FC manager Alan Reynolds said, “Kenny is a fans’ favourite here so it’s great that he’s signed for the new season. He showed his quality again last season and he’ll be an important player for us. “He has lots of experience in league football but also in European football so we’ll look to use that to help some of the younger lads this season. He’s played with Cork, St Pats and Sporting Fingal so he knows what we need to do. Training has gone well and he’s working very hard at the moment so it’s great to have him in the squad again this season.” Waterford FC have now signed 15 players ahead of the new season and it’s expected that further additions will be added before the opening game of the season, at home to Shamrock Rovers on Friday, February 15, with a 7.45pm kick-off. WATERFORD FC SQUAD 2019: Kenny Browne, Dean O’Halloran, Damien Delaney, Maxim Kouogun, Kevin Lynch, Matthew Connor, John Martin, Dean Walsh, Rory Feely, Cory Galvin, Shane Duggan, Bastien Hery, JJ Lunney, Zack Elbouzedi and Izzy Akinade.